These charts and graphs are available as PowerPoint slides or PDFs. To download the file, click the link or Ctrl+click on the title and select "Save as..."
14 charts and graphs (ppt) from “Charting Inequality"
The State of Working America 2011, Economic Policy Institute. This file (ppt) contains 35 of the more important graphs published in The Spirit Level (Wilkinson & Pickett, Penguin 2009). 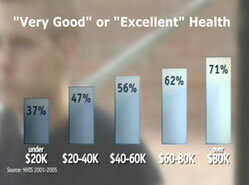 Black Health Status charts (ppt). Courtesy Dr. Vernellia Randall, Professor of Law, The University of Dayton School of Law. These charts (ppt), from the article "It's the Inequity, Stupid," and others are available on Mother Jones' website. This presentation (PDF) includes charts and graphs illustrating WHO Europe's Social Determinants of Health: The Solid Facts. The Robert Wood Johnson Foundation's Commission to Build a Healthier America created an in-depth collection of graphical data ready to download into relevant research and presentations. Racism and Health: Understanding Multiple Pathways (PDF) a presentation by David Williams, Florence & Laura Norman Professor of Public Health Professor of African & African American Studies and of Sociology Harvard University. 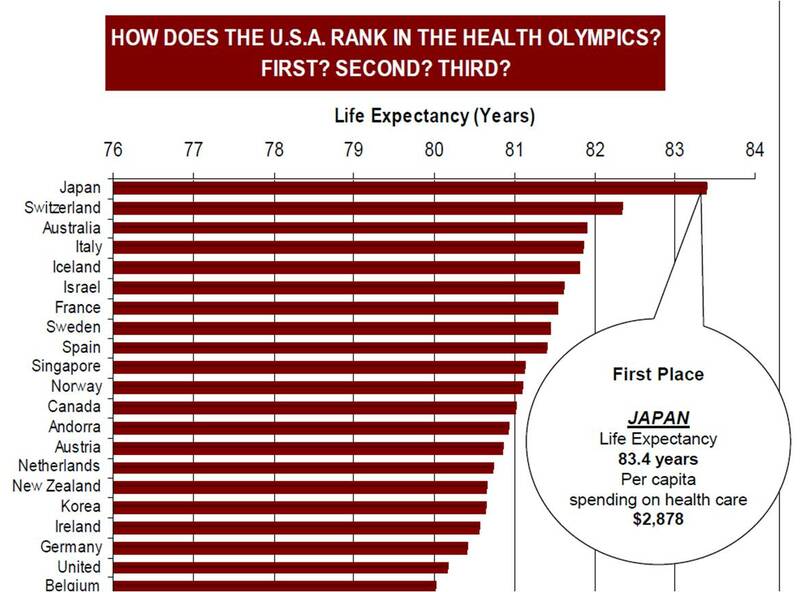 How does the US Rank in the Health Olympics? (PDF) Courtesy Dr. Stephen Bezruchka, Population Health Forum.